Painkillers kill more Americans than any illegal drug and every 19 minutes someone dies from the misuse prescription drug use. 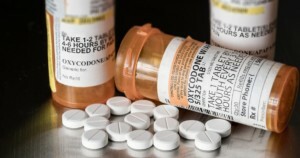 The United States is battling a growing opioid abuse epidemic that claimed more than 33,000 people in 2015, more than any year on record, according to federal data reported by Reuters. Low Dose Naltrexone (LDN) and Oxytocin are non-opioid alternatives being used to relieve and treat chronic pain. LDN -Up regulates endogenous opioids and receptors. Oxytocin – acts as a neurotransmitter in the spinal cord, is often used in conjunction with LDN – each have low side effect profiles. non-opioid solutions, please talk to us about our evidenced based personalized treatment plans.